Physical therapy (PT) or physiotherapy is a profession in the health care industry that focuses on more conventional means of medicine related to impairments and disabilities. The practice of physical therapy primarily focuses on mobility, quality of life, functional abilities, and movement potential. 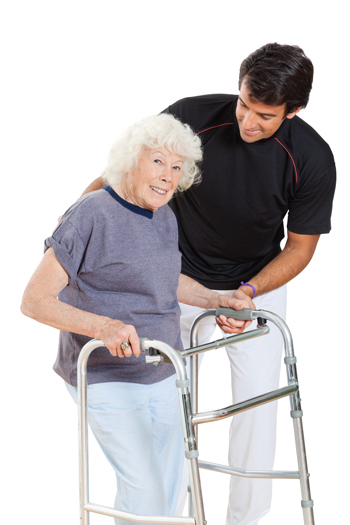 Experts in this field are known as physical therapists and physical therapist assistants (PTA). Therapists focus on examining, evaluating, diagnosing, and physical intervention of human ailments that can be rehabilitated or assisted through physical therapy. At Kleinpeter, our PT’s have a considerable amount of education and certifications in physical therapy including doctorate’s in physical therapy as seen on our about page. When you work with our therapists, you can expect a highly qualified and trained professional. Many people question when they should see a PT and our answer depends on the ailment you suffer. If your injury, illness or condition is limiting your movement, strength, endurance and/or balance chances are we can help. Our goal is to understand your concerns and your individual goals for recovery. The initial evaluation/visit consists of gathering information about your condition through a combination of questions and discussion about your medical history, physical therapy tests to determine a physical therapy diagnosis, patient education about your physical therapy diagnosis, and development of a treatment plan designed to meet the functional goals set. 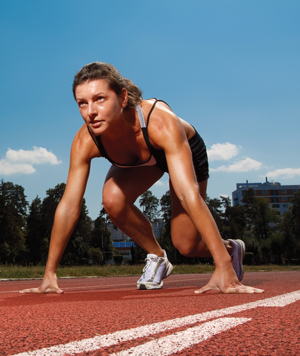 We understand the demands of your sport, and the importance of evaluating your condition and developing a rehabilitation program designed to meet your specific goals. Physical therapists are experts at treating sports related injuries ranging from sprains, strains, and/or contusions to pre and/or post operative rehabilitation for conditions that require surgical intervention. We’ll work with you to regain your strength and competitive edge. What’s more, you’ll find special therapeutic exercises designed to protect your body from overuse pain and injuries common in court and field sports. We integrate dynamic stabilization and special techniques that help minimize risk of injuries in your sport. The spine is an amazingly complex structure, providing us with strength and stability as well as incredible mobility. The spine is comprised of 24 vertebrae, which are precisely connected to an array of discs, ligaments, joints and muscles. These tissues work together to move the spine in a controlled fashion and to protect the spinal cord and its nerves. You can experience pain in your neck or back if there is injury or irritation to any of these structures. We can carefully test and evaluate your condition, determine the source of your pain and then develop a plan to help you return to your usual active lifestyle. Our special training in this complex area allows us to provide you with the tools needed to achieve optimal spinal health. If you are in need of any type of spine therapy (neck, upper back and/or lower back), give us a call. Suffering from chronic pain can significantly decrease quality of your life. Learning proper exercises to decrease pain, improve posture and increase strength, flexibility and endurance gives you the best opportunity to eliminate pain and restore a functional lifestyle. Aquatic therapy is performed in the water, aiming to rehabilitate patients after injury or those with chronic illness. It uses the resistance of water instead of weights, taking excess pressure off joints for better outcomes. Patients who have had difficulty with traditional therapy often show improvement with aquatic therapy. The goal is to transition patients quickly from hydrotherapy to a land rehabilitation program. Why Is Water Sometimes Better For Therapy? 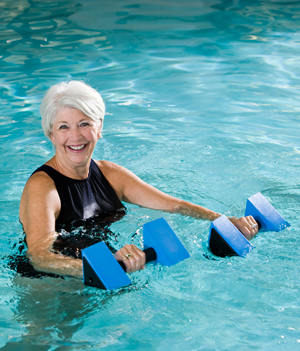 Aquatic therapy can make exercise easier and less painful, because the forces on weight-bearing joints are reduced. The warmth of the water helps reduce pain by relaxing tight muscles and increasing blood flow. The water resistance and special jets help patients strengthen muscles and improve cardiovascular performance. Chronic pain is one of the worst contributors to a decreased quality of life. Pain is a neurological signal to the brain indicating to a person a threat to their well-being. There can be various reasons why this signal is broadcast through the nervous system regardless of any actual tissue damage. Chronic pain can take over your life and alter your focus to hone in on the pain causing major disruption to your every-day life. Contact us to schedule a complimentary consultation to discuss conservative non narcotic options to treat and manage chronic pain. Acute pain lasts for a short time – up to 12 weeks. It is a warning that tissue damage has occurred or may occur, or to help us prevent injury or disease. For instance, if we touch a hot stove, the body sends a danger message to the brain that there is a threat to tissues in order to prevent further injury. A sore foot can signal a need to change your footwear. In some cases, the danger messages may be due to some disease process, and your brain may interpret those messages as pain. This can cause you to seek medical attention – diagnosis and treatment – for what may be a serious condition. Signaling pain in this manner is the body’s way of protecting us and is a good thing. When pain is constant or chronic, the brain and nervous system go on “high alert,” becoming more sensitive. When pain is chronic: Pain sensations are activated in the brain; The brain continues to interpret all sensations from the problem areas as danger, even when there is no more tissue damage occurring. This makes it easier for the pain centers in the brain to activate; Pain messages come from many different areas of the brain – areas that may control fight or fear reactions, movement, emotions, problem-solving, and learning. In fact, almost any system of the body can be affected by chronic pain. When pain is ongoing, you may find you have feelings of bitterness, frustration, or depression. Some people report they have thoughts of suicide. If you are having these feelings, tell your doctor.This is important, so that you can get appropriate treatment to help you manage your pain. Research shows that treating pain as soon as possible helps to prevent chronic pain. Don’t ignore pain. Serious pain or pain that does not get better as expected should be treated. Learning fully about your condition. This will help you better understand what is occurring in your body, so you don’t worry about every new ache, pain, or symptom. TDN is a treatment for muscular tightness and spasm which commonly follows injuries and often accompanies the degenerative processes. This muscular tightness and spasm will cause compression and irritation of the nerves exiting the spine. When the nerves are irritated, they cause a protective spasm of all the muscles to which they are connected. This may cause peripheral diagnoses, such as carpal tunnel, tendonitis, osteoarthritis, decreased mobility and chronic pain. Small, thin needles are inserted in the muscles at the trigger points causing the pain referral. The muscles then contract and release, improving flexibility of the muscle and decreasing symptoms. Kleinpeter Physical Therapy offers our patients the most advanced technologies and treatments that offer prove, effective results. We are determined to work with you and get you back to your active life as quickly and safely as possible. If you are ready to book an appointment, use the link below.